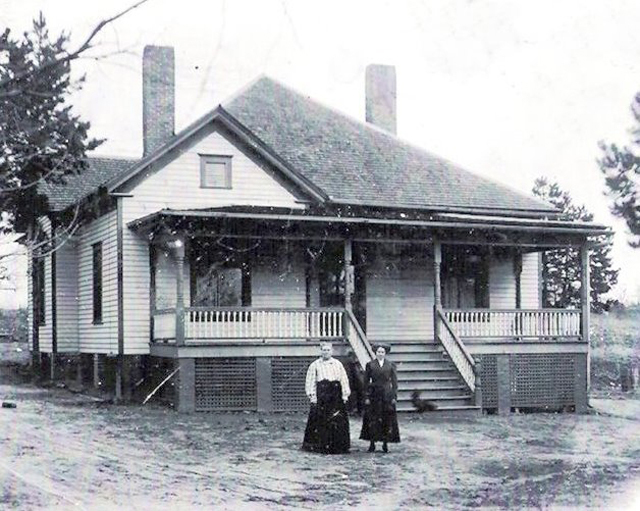 Pope Family Farm House, circa 1902. This badly faded photo has been enhanced. Three other pictures on this page have this house in the background. The picture to the right was made on the porch. The picture below has this farm house in the background. 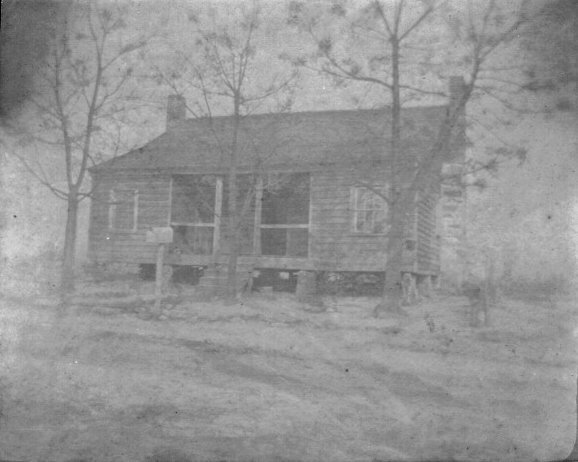 Aunt Mag is seated in front of this house (lower right). She said that Yankee soldiers left bullets in the wall of this house. The Pope farm house is no longer standing. The old house site, and the adjacent Pope burial ground is on the grounds of Hartsfield Airport. 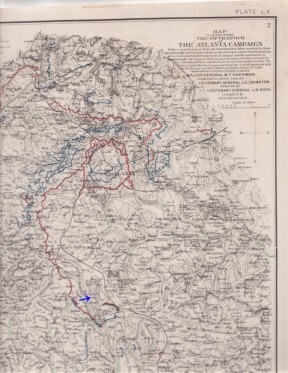 The location of this farm house is marked on Sherman's maps of the Battle of Atlanta, Plate LX. The maps also indicate the nearby location of Pope's Cotton Gin, where the Pope family cemetery is now located. Click on thumbnail..
Uncle Dave Pope, Oscar Brown (Aunt Eliza's son by her first marriage), and Uncle Ed Pope. 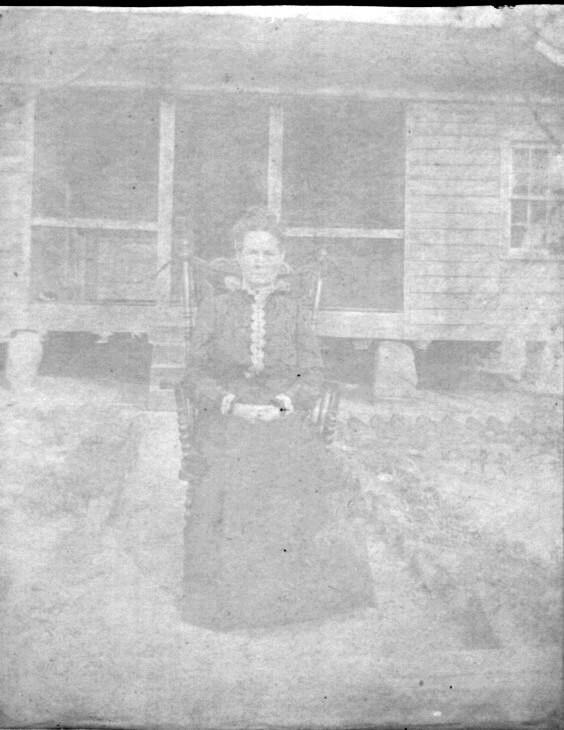 Aunt Maggie Pope (Granddaddy called her Aunt Mag) in front of the Pope farm house. Aunt Ree said Aunt Maggie's personality was similar to Auntie Jo's. 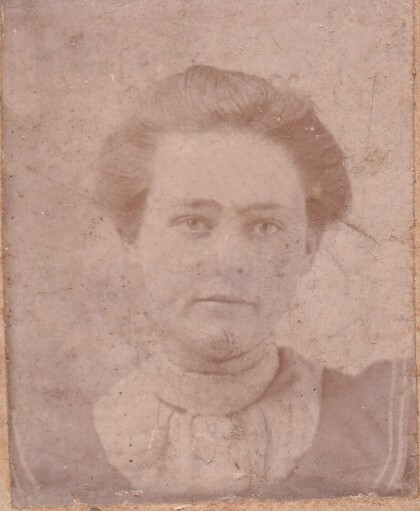 This badly-faded photo has been enhanced. This is the David Hewell Pope family. The boys across the back are Lucian,John Eli and Jesse. 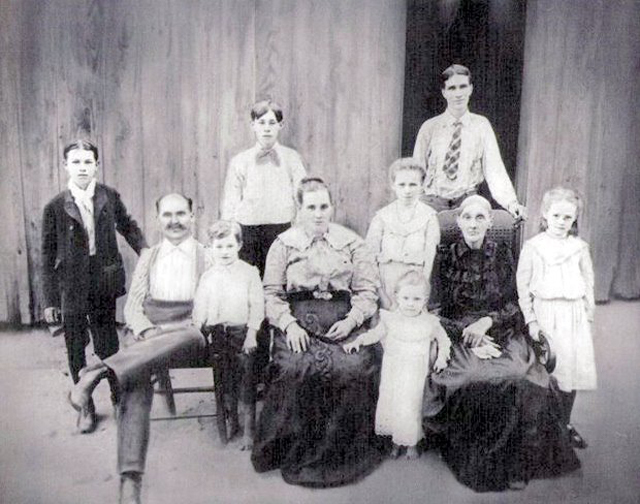 David Hewell Pope sitting with William David, Fannie Gantt Pope, three girls are Nettie, Lula and Betty and not sure who the older women is.